Finishing up the last draft (I hope) of B3 and once that’s done, I’ll get back to the 131 series. I like it better with the caption above Breeds. Always good to have the number in the series and to know that it is the finale. I have really enjoyed the series so far and can’t wait to read more 131. Hope I’m not too late to chime in but I like the caption. And I am also excited to get back into 131. Who am I kidding? I love all your books! Love both covers. On travel now and reading breeds 2. Oh my god. Thank you! Keep up the great, great work!! I’m a new fan and will continue to read ! Do you or is there any plans for more of your books to be on audible.com? Do you or is there any plans for more of your books to be on audible.com? Sean Runnette’s voice and RC Bray’s are perfect and match made in heaven with your stories. I tell all my friends. Please don’t leave us hanging. 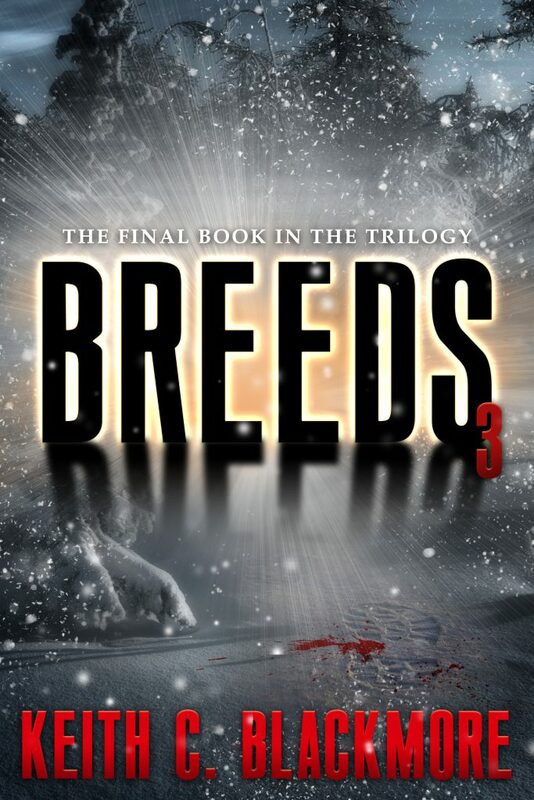 I have Breeds 1 and 2 on Audible. Really want number 3 as well as Sean Runnette really brings the books to life. B3 will be released soon in ebook, but sorry Daniel, it will be a little later for audio–contact Podium in a few months or just visit back here. My vote is without the tagline, it really lets the title stand out more. I really enjoy your work; I found it on Audible and am looking forward to more. The language and phrases that your characters use when cursing or venting frustration mirrors my own and I really dig it! It’s non-PC and refreshing as hell. You’re a little late with your input but thanks for taking the time to vote all the same :). B3 is now live on Amazon… other markets to follow.